One Monk Miniatures: FH141 - Robots vs. Power Armor! FH141 - Robots vs. Power Armor! 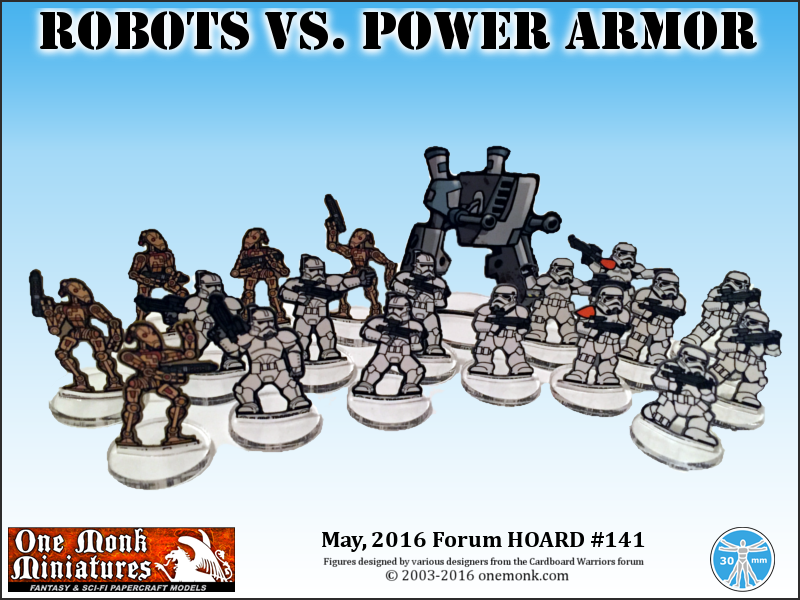 It's a clash of epic proportions as Robots take on Power Armor troops in the May Forum Horde! Thanks to Okumart and GrendelsMother64 for their arts and to MProteau and Vermin King for managing the Hordes.